Whatever your drink preference, this is sure to become your favorite mug! 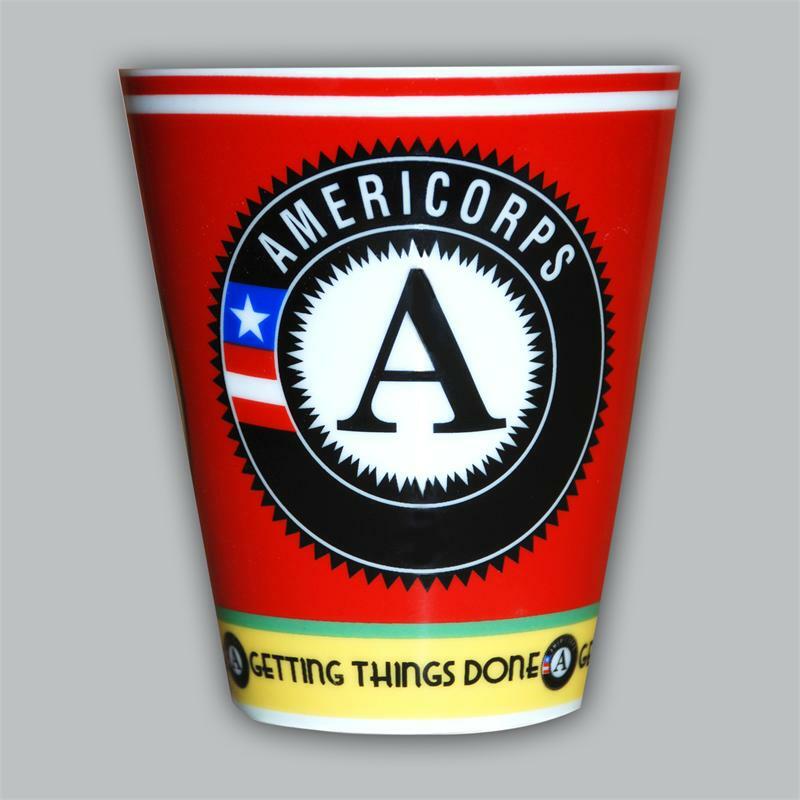 Spread the energetic spirit of AmeriCorps around the office! 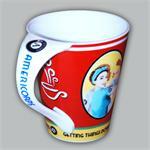 In bright, fun colors and a whimsically shaped handle that will bring cheer to any day. 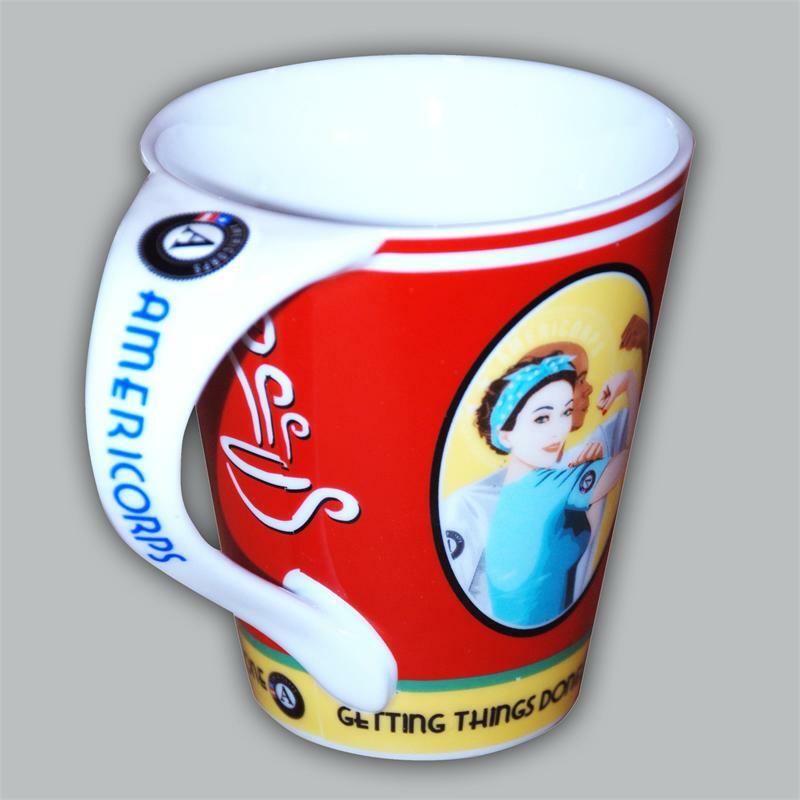 Beautiful ceramic with Rosie & Rick and AmeriCorps logos brightly displayed, without wear or fade with washing. 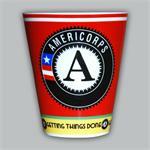 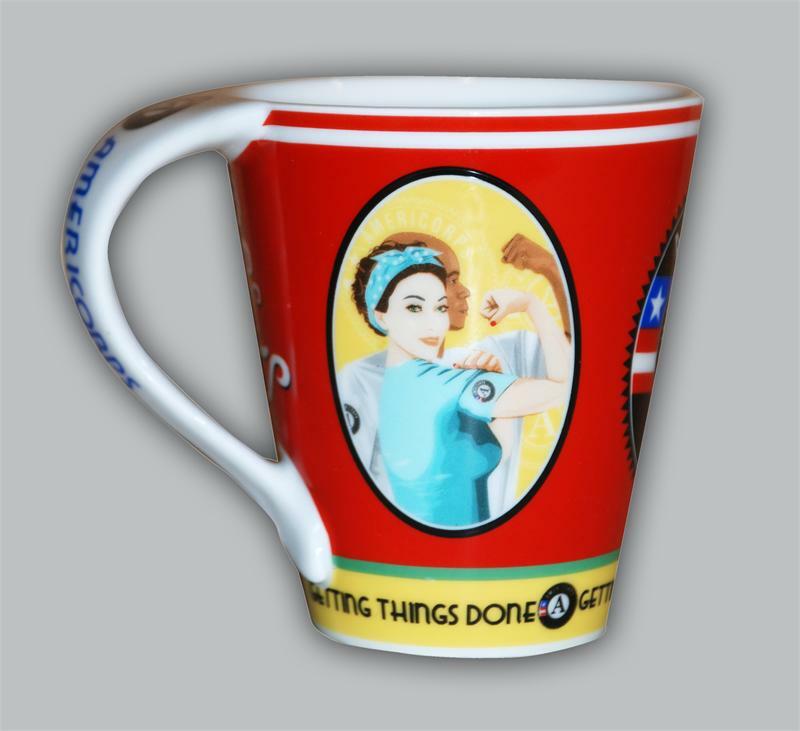 Our AmeriCorps Mug makes an excellent and practical recognition item for members and directors alike.